Orthopaedic surgeries and the follow-up rehabilitation procedures have been one of the strong skill areas and success stories for surgeons and other medical experts from this region. They are famous for treating these kinds of issues caused by various accidents and other acute and chronic conditions and that is why we think this information should be spread wider and with pride. Just these days we heard of one more positive and encouraging story from a children’s hospital in Zagreb, which became the fifth in Europe that undertook a very specific kind of surgery and as a result, 9-year-old Jan is now successfully recovering after the surgical procedure. 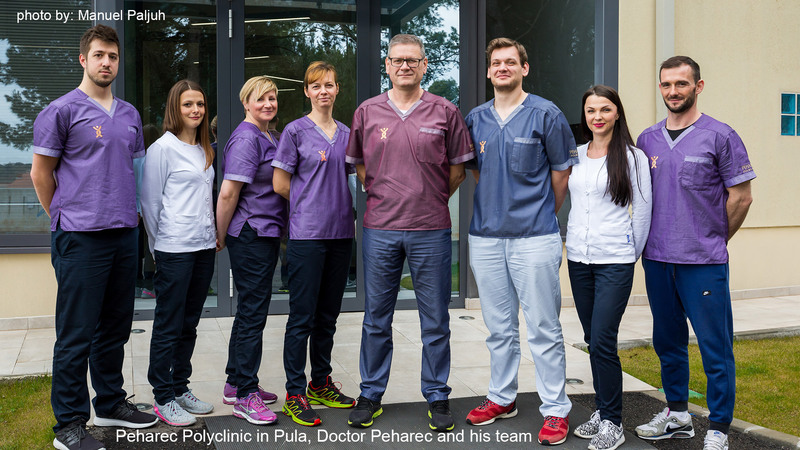 The Children’s Hospital Zagreb medical team, led by Professor Robert Kolundžić, successfully performed the first operation of its type in Croatia, namely implanting an expandable endoprosthesis in the leg of a 9-year-old boy suffering from osteosarcoma. “It is a personalized implant that replaces part of the joint and femur, and was designed on the basis of magnetic resonance imaging (MRI) recordings. The prosthesis contains a mechanism which operates on the principle of elastic springs and enables them to be released, under local anesthesia, and extended in line with the natural growth of the child’s body”, said Professor Kolundžić, an orthopaedic specialist from Zagreb’s University Hospital of Traumatology. He pointed out that oncological orthopedics has made a great progress in the last 20 years. This advancement means that now, instead of amputation being the only solution for osteosarcoma sufferers, it is possible to perform a reconstruction of the extremities, and which is successful in 85 percent of cases. Nine year old Jan is now successfully recovering 40 days after surgery and walking with crutches. Doctors expect that with full recovery, Jan will be able to rely just on his legs. It is further noted that Jan, because of the high-risk of osteosarcoma affecting other parts of the body, had to go through chemotherapy regimes both before and after surgery which, along with the surgical procedure itself, were extremely demanding for him and his family and doctors. It was pointed out that this is a rare disease with, perhaps, three to five cases per year (with a significantly high mortality rate) and the new procedures can reduce the mortality rates very substantially. The Zagreb Children’s Hospital has a goal to become a centre of excellence for paediatric orthopaedics in this part of Europe, and expects that such orthopaedic procedures will be of great interest here and in the wider region. The price of the expandable prosthesis itself is said to be €40,000. The nearest alternative centre where such procedures are performed is Vienna. However, unlike the Croatian hospital, where the surgery is performed at around €2,700, in Vienna it costs €100,000. The prosthesis for young patients could be purchased and covered by the national health Insurance scheme.